Home Cinema heaven starts with low frequency effects; deep, powerful bass designed to instil excitement, create life-like ambience or immerse you in the thick of the action. The F3 Series subwoofers deliver blockbuster bass performance thanks to their innovative DDX Direct Digital amplification, advanced DSP and Fyne’s know-how in driver and cabinet design. Across the three-strong range, the F3 Series subwoofers boast a wealth of controls, understated black ash finish and removable grilles. 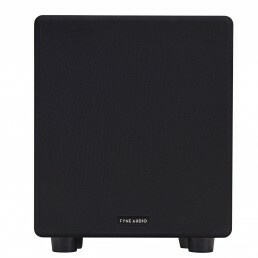 With a rich, powerful and engaging sound, the F3 Series subwoofer have been designed to deliver class-leading performance and system integration at the price. 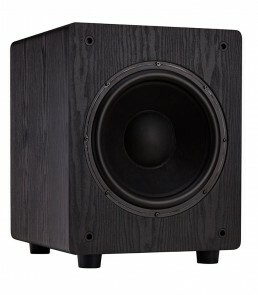 From the floor up, the F3 Series subwoofer cabinets bristle with unique design features. 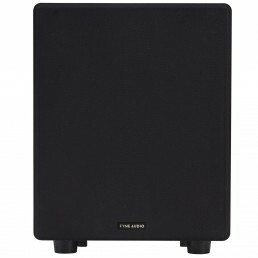 The large, compliant feet better couple the subwoofer to the floor, offering a more consistent room interface while being kinder to solid floor surfaces. The F3 Series’ large diameter port uses a mathematical-derived flare profile at both ends for extremely low turbulence. The cabinets are built from heavyweight and braced MDF panels to reduce colouration and finished in a subtle black ash detail to ensure they are heard and felt, yet not seen. The F3 Series cutting edge electronics and DSP engine have enabled control features normally only found in much more expensive subwoofers. The DSP controls both LFE input and stereo input 85Hz low pass filters, automatic dynamic range management and overload protection, as well as enabling Fyne’s Bass Boost function. Engaging the Bass Boost switch delivers a +3dB lift through critical movie LFE frequencies to deliver real cinema movie performance in the home. For ease of integration with the widest range of AV systems, F3 Series subwoofers offer continuous or signal sensing auto power on modes, a 12V trigger and phase reverse switch. Fyne’s front mounted F3 Series drivers deliver the ultimate in fast transient attack to make gun-shots and other dynamic low frequency effects come alive. The cone material is formed with a unique mix of fibres to create a light, stiff and near perfect rigid diaphragm for supremely accurate bass. Fyne’s soft rubber roll surround and deep coil and motor assembly give the cone extensive excursion and high-power handling. The result is a range of affordable subwoofers with stunning dynamics and the capability to produce low frequencies down to a class-leading 30Hz (F3-12). Direct Digital Amplification (DDX®) is a patented, all-digital, high-efficiency amplifier technology designed specifically for multimedia applications. DDX is similar to a standard Class-D digital amplifier but improves upon the design with higher power, better efficiency, lower RFI output and enhanced sonic characteristics. 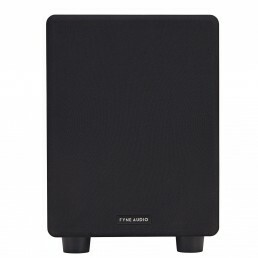 The result is a clean, muscular sounding amplifier with plenty of headroom for the biggest explosions and vanishingly low distortion right down to the F3 Series’ lowest operating frequencies. 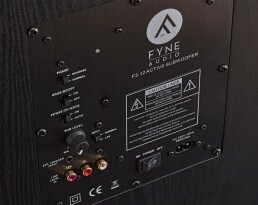 When you invest in a pair of FYNE AUDIO loudspeakers, you’ll be pleased to know that the development of each product has been undertaken by an enthusiastic and experienced team who have been in the loudspeaker business for very many years. At every level of the design process, be it acoustic know-how, mechanical engineering, choice of materials or manufacturing expertise, our loudspeakers have been tuned to offer best in class performance.